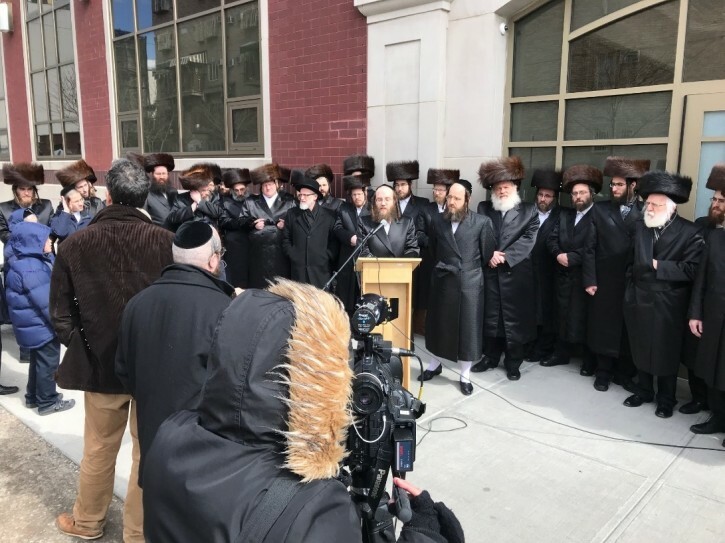 Brooklyn, NY – Dozens of yeshiva graduates and parents of yeshiva students gathered outside of the Satmar Girls School in Williamsburg today to speak out against the unrelenting attacks against their schools by anti-yeshiva activists and declare their right to choose the best education for their children. “We have made the choice to send our children to yeshivas and value the education they receive. We refuse to be intimidated by a small group of graduates who want to deny us that right. Enough is enough. This misinformation campaign must stop once and for all,” said Levi Oberland, a licensed social worker, yeshiva graduate, and parent. “For nearly two years, we have watched a small group of disgruntled ex-students wage a public campaign of misinformation about yeshivas. They claim that the education yeshivas provide is inferior to that of public schools, and that our students are unprepared for success. These claims are outrageous,” added Oberlander. “We’re tired of being harassed by critics who don’t understand what takes place in our classrooms and who refuse to respect the choices that generations of parents have made—and continue to make. We are concerned that the continued disparagement of our schools will poison public perception of these extraordinary institutions,” said Ari Greenberg, a parent, yeshiva graduate, former web designer at B&H Photo and manager of a workforce development program at the United Jewish Organizations. 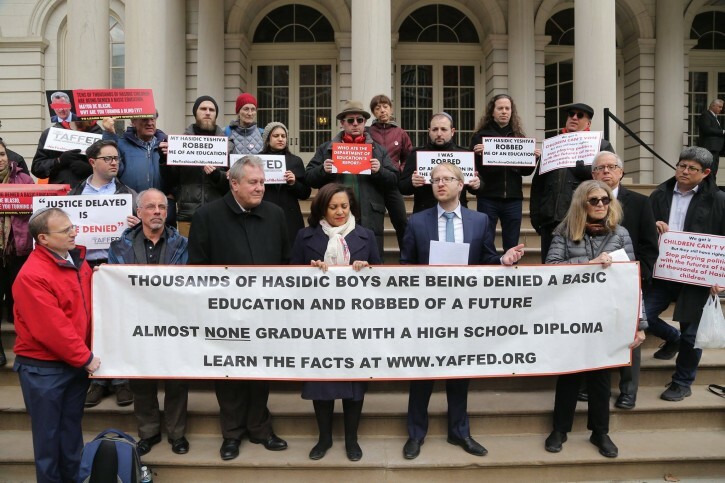 The press conference was held in response to a continuing campaign of attacks by YAFFED, a group calling for intensified government intervention into yeshivas, which serve tens of thousands of children every year.